Which Toothpaste Brands Are Gluten-Free? Those of us who cannot tolerate gluten must watch everything we put in our mouths (even if we're not supposed to swallow it). So yes, we need to worry a little about gluten in toothpaste. 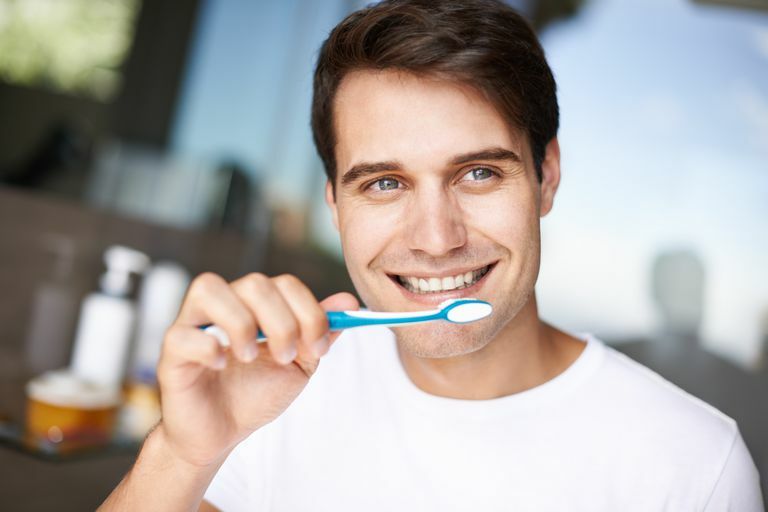 Fortunately, there's an abundance of gluten-free toothpaste options available—in fact, the odds are good that the one you're using right now is considered gluten-free to the generally accepted limit of 20 parts per million. Arm & Hammer toothpaste. Arm & Hammer verifies that its toothpaste products are gluten-free. Aquafresh toothpaste. Aquafresh products, which include adult and kids' toothpastes plus whitening trays, do not contain gluten, according to the company. Biotène toothpaste. Biotène makes products designed to help manage the symptoms of dry mouth, a common problem in Sjögren's syndrome, an autoimmune condition linked with celiac disease. Biotène states that all of its products are gluten-free (and sugar-free). Crest toothpaste. Crest, a Procter & Gamble company, states that all of its toothpaste products are currently gluten-free. However, if you're looking for a gluten-free mouthwash, the company states that "Crest Pro-Health Rinse does not directly add any ingredients that contain gluten, though it is possible that it may contain trace amounts." Colgate toothpaste. Colgate states that all its Colgate, PreviDent and Ultrabrite toothpastes are gluten-free. In addition, all Colgate mouthwashes and rinses, including Colgate Optic White Mouthwash, Colgate Total Mouthwash, Colgate Total Advanced ProShield Mouthwash, Periogard Rinse, Peroxyl Oral Cleanser (all varieties), and PhosFlur (all flavors, including Grape, Mint and Bubblegum) are considered gluten-free, as are Colgate Optic White Toothbrush with Built-In Whitening Pen, and Colgate Toothbrush with Built-In Sensitive Enamel Health Relief Pen. Desert Essence toothpaste. Desert Essence, which makes toothpaste products with tea tree oil (a natural antiseptic) and baking soda, states that all of its toothpaste flavors are gluten-free. The company offers seven toothpastes (in intriguing flavors like Ginger, Fennel, and Cinnamint) plus four different gluten-free mouthwashes. Orajel baby and toddler toothpaste. Orajel states on its website that its baby and toddler toothpaste formulas are gluten-free. Oral B Stages kids' toothpaste. Oral B states that there are no gluten ingredients used in its popular character-themed kids' toothpastes but won't say the products are gluten-free. Here's the company's statement: "There is no gluten used in the formulations, nor on the equipment used to produce any Oral B Stages toothpaste product." Sensodyne toothpaste. Sensodyne states that its Pronamel line of toothpastes is gluten-free. The company doesn't use gluten ingredients in any of its other toothpastes but says its raw materials suppliers cannot guarantee there's no gluten contamination in them. Tanner's Tasty Paste. This small company, founded by a pediatric dentist, makes three toothpaste flavors aimed at children: Cha-Cha Chocolate, Vanilla Bling, and Baby Bling (vanilla ice cream-flavored). All three are gluten-free and sweetened with xylitol, a sugar alcohol. They do not contain artificial flavors or colors, nor do they contain sodium lauryl sulfate. Tom's of Maine. Tom's of Maine states that its toothpaste products (and most other products) are gluten-free. Is That Coffee You're Drinking Really Gluten-Free? Can Gluten-Free Cat & Dog Food Reduce Your Celiac Disease Symptoms? Do You Still Have Symptoms Even Though You're Gluten-Free?